SuperKids Nutrition spoke with school nutrition and policy expert and spokesperson for the American Dietetic Association, Andrea Giancoli, MPH, RD about the hot topic of School Lunch. Jamie Oliver has been making some great changes to the school food service programs in West Virginia. What are some of the changes that you have made to LA Unified School Food Service that are similar to the changes we have seen with The Food Revolution? What do you think would surprise parents most about these changes? Within the school meal program, we have developed nutrition standards that are more strict than then USDA guidelines- including lowering sodium, sugar and fat, and adding more whole grains fruits and vegetables to the daily menu. What might be surprising to parents is that they see their kids eating pizza and chicken nuggets at our schools and assume they are eating typical high-fat high-calorie fast food items. Because of nutrition guidelines we have managed to make healthier “fast food.” So what you see is not always what you get. For example, our pizza is made with a 51% whole grain/whole wheat crust and low-fat cheese, and our chicken nuggets are lower in fat and made whole grain breadcrumbs. This goes to show that you can’t judge a book by its cover. Jamie Oliver is trying to make some great changes. As a chef he cooks homemade food, from scratch. The school lunch has a system with rules and regulations that govern school food service programs. It’s complex and changes need to be made within the system. It can be extremely difficult to go into a school and make such sweeping changes. As we saw in the Food Revolution, many of the kids were not able to name common fruits and vegetables. If they don’t even know what they are, it is likely that they are not going to choose them. Kids will always choose to eat what they are accustomed to. Nutrition education and exposure to fruits, vegetables, and whole grains is an important part of getting kids to accept these foods. I’d like to also point out the progress we have accomplished in the school lunch program. We don’t use any fryers in the Los Angeles district, they’ve been long gone for years. We also have eliminated added trans fats, and our cereals for breakfast are limited to no more than 7 grams sugar/ounce. Why should parents be interested in improving their kids nutrition at school? Overall, the nutrition in schools needs to change and many food service directors and dietitians are working toward these positive changes. The school nutrition environment is very difficult, and it is important that we collaborate with students and with parents to reach these goals. School meals can serve as a way to ensure adequate nutrition and can also teach kids important lessons about proper nutrition. Did you know, the foods sold outside of the school meal program on campus in vending machines, student stores, at fundraisers, al la carte- do not have to follow the same guidelines? We call these foods sold outside of the school meal program ‘competitive foods’. Setting nutrition standards for competitive foods is so important to kids health because many students, especially those at the middle and senior high school levels, aren’t consuming the school meal and are instead buying snack foods and a la carte items elsewhere on campus. Parents and teachers don’t want these foods competing with foods kids need for good health. At LAUSD and in the State of California we are fortunate to have policies that have set strict nutrient standards for competitive foods – including limits on calories, fat, saturated fat, sodium, and portion size. 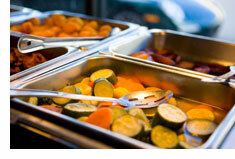 A lot of changes related to schools meals at the Federal government level are in the works. 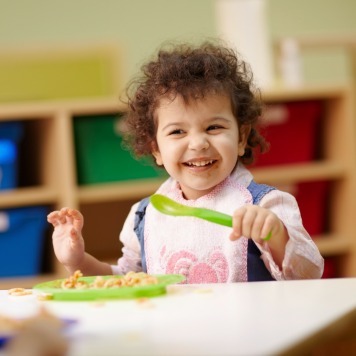 Currently, Congress is reviewing the Child Nutrition and WIC Reauthorization Act, which will likely include new requirements for the School Meal Program. The Institute of Medicine recently released recommendations to improve the overall nutrient profile of school meals. A lot is going to change with school meals and school districts will be making these required changes. Parents can ask how to get involved and work together to make changes in schools and at home. What are some strategies and tips you can offer for parents, who see a changed needed but don’t know how to approach it with their school’s administrator? I would recommend parents start with the school wellness policy- all public schools must have them if they offer the Federal School Meal Program. They can learn more about this by asking administration and volunteering to get involved. By becoming familiar with what the policy says, both parent and teachers can take some simple steps to help the school wellness committee make changes they would like to see. Ultimately, it is up to the district to decide changes, however, parents are required to be a part of the school wellness committee and can take an active role in lobbying for changes. 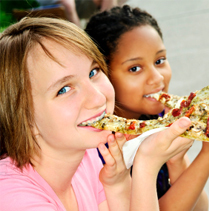 How do you get kids and teens excited about healthy eating and nutrition? The most important thing is to get onto their level. We can lecture kids all day about heart disease and diabetes, but this is not going to mean much to them unless they actually have it. Instead, when educating and promoting healthy eating and nutrition, focus on how changing what we eat will benefit the things that matter to them. For example, a high sugar high fat diet without much nutrition will lead to decreased energy, decreased test-taking skill and lower grades. 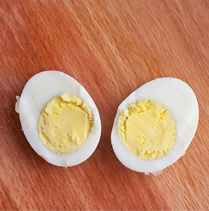 By not getting proper nutrition, your hair and skin won’t be as pretty; etc. This has been shown to motivate kids to make changes. Kids are visual learners. When educating about healthy eating and nutrition, let kids participate in food demonstrations and experiments. Actually, show them the amount of sugar in that bottle of soda or candy bar, or show them the amount of fat that is in the pizza or fried foods they typically choose at fast food establishments. This will help show kids that you can not judge a food by its cover, and help them put into perspective what they are actually putting into their bodies. Vending machines can be filled with unhealthy options. Students often rely on them for afterschool snacks and lunch additions. How did you go about improving the choices in the vending machines, and how did the students and teachers respond to these changes? We also have specific portion sizes on all of these foods. For example, packaged snacks and sweets cannot be more than 1.5 oz, and cookies and cereal bars no larger than 2 oz. It’s great that some manufacturers are responding to these changes and have reformulated their products so that they can fit the standards and still be sold within the school district. It just goes to show that if we make healthy policy changes, food companies will make healthier adjustments. We also have regulations on beverages that can be sold at school. This is a state and district policy. By setting these standards, we have essentially gotten rid of the worst of the worst. In the end, we need to get out of the business of selling food outside of the school meal program. We have definitely encountered resistance from both students and faculty. We see a lot of student organizations and teachers bending the rules and having bake sales or fundraising with other foods that do not meet the standards. They argue that they need money and fundraisers to get things like uniforms, and we have not come up with enough options to help them fundraise outside of food itself. This is a place where parents can get involved by knowing the wellness policy and knowing the standards. Parents can help to report violations as well as help come up with more creative fundraising efforts that don’t involve food. There are many alternative and fun ways to raise money that can support our children’s health, including these alternative fundraising ideas. We know that whole grains are important for kids’ health. Will kids really eat whole grains in the school setting? Kids will eat whole grains because we incorporate them in things kids like to eat such as 51% whole wheat crust- chicken nuggets made with whole grain bread crumbs. How much fruit and whole grains are getting in your school’s lunch program? Our standard serving for fruit and vegetables is a ½ cup. At the elementary level we serve 3 side dish choices of fruit and vegetables, one of which is a 4 oz 100% juice. At the secondary level, we serve 4 side choices of fruit and vegetables, 1 of which is a 4 oz 100% fruit juice. Additionally some of our entrees include vegetables and we do serve entrée salads on the lunch menu. Our sandwich sliced bread is 100% whole wheat but our sandwich rolls are not as of yet. It takes time to come up with an acceptable product that is affordable and made to meet our specifications. We also have a 59% whole wheat wrap that we use for our chicken wrap sandwiches. The dinner rolls are 51% whole wheat. Next year our burritos will be made with a tortilla that is at least 51% whole grain. It has taken time for food manufacturers to adjust to these healthier changes and come up with new products that are acceptable to kids, but we are getting there! How do you educate kids on nutrition in your school system? What makes it unique? Why is this important to parents and teachers? Within the LAUSD we have the Network for Healthy California, which is a school-based program focused on nutrition and healthy eating. The program includes things like “Harvest of the Month” where different fruits and vegetables are highlighted each month, teachers provide lessons involving the fruit/vegetable, the students taste test the produce, chefs come to class, etc. It is a very unique program and a unique opportunity for students to learn about nutrition. The program has limited funding, only low-income schools are eligible for the program and it is a completely voluntary (teachers have to sign up). We have some very motivated teachers that take advantage of the program and get a lot out of it, and some that don’t. Although, health education is required in the state, including a short unit on nutrition, nutrition is not a tested subject, which means that teachers will often put nutrition education to the wayside in order to meet the specific standards of core curricular areas that will be tested. To help overcome this barrier, The Network for a Healthy California provides educational materials that incorporate nutrition education into those core curricular areas such as language/arts, math and science. This takes the pressure off of teachers and allows them to use nutrition messages to teach other subjects. What do you consider to be the most important message that kids/teens and parents can take home about nutrition and healthy eating? Healthy eating and nutrition will help kids feel better and look better. They will have better energy levels and perform better in school. Ultimately, it is going to make their lives better. Parents know this and by taking action they can help their child live a healthy energetic long life. 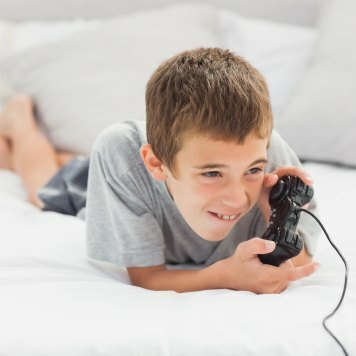 Kids and teens respond better to gradual changes. What are 3 practical ways schools can start implementing? Involve students in the process of change: treat the student like the customer and provide food that the customer is going to want. Hold frequent taste tests of the school food to gain their feedback and introduce them to new items. Education and collaboration: You need to provide education with the students’ feedback. Education is a part of the answer, not the only answer. Teach the benefit and get their feedback. Offering new foods along with education helps kids accept less familiar foods that are served. It’s a battle between providing what is healthy, and also serving what kids are willing to eat. Andrea Giancoli, MPH, RD is a nutrition advocate and consultant currently serving as the school nutrition policy specialist for the Los Angeles Unified School District (LAUSD). At LAUSD Giancoli is working to implement landmark food and beverage policies she helped design to improve the nutrition environments on school campuses. As co-founder of Fit4School, she has partnered with many districts to develop local wellness policies and designed nutrition education programs for students, teachers, and parents. Additionally, Giancoli directs a behavioral change support group designed to improve the management of Type 2 diabetes in seniors. She frequently lectures to professional and community groups on healthy living and is a former instructor of human nutrition for the University of California Los Angeles (UCLA) Extension program. Giancoli is a current Spokesperson for the American Dietetic Association and the 2010-11 Advocacy Chair for the California Dietetic Association – Los Angeles District (CDA-LAD). She has held many other positions within the professional organization including State Media representative and District Representative. She is also the recipient of CDA’s 2006 Emerging Dietetic Leader Award. Prior to becoming a registered dietitian, Giancoli was a television news producer for CNN, Extra! and CBS’s Day & Date. She is a graduate of UCLA, where she also earned her master’s degree. Alicia is a nutrition expert and food fanatic who is passionate about making healthy eating and nutrition a lifestyle for her clients. She does private nutrition consulting and works as a clinical dietitian in the greater New York City area.